Most free backup products are competent, if in some way limited. Finding a good free backup solution is easier than you’d think. A host of companies would love to give you free online backup or free backup software—and perhaps surprisingly, nearly all of them are quite competent. Of course these companies aren’t really in it for the satisfaction of knowing your data is safe. Their free versions usually only provide enough storage for essential data, or are lacking some advance features that pros would employ. They hope you’ll love the program or service so much, or find it so useful that you’ll eventually fork over some cash for additional storage or those advance features. But wait, you say: I have free online storage through Apple’s iCloud or Google Drive, or Microsoft OneDrive. Then there are services like Dropbox, with 5GB for free. Read on for our top picks in free online backup and free backup software, and of course the reasons we picked them. You can get the skinny on paid backup software and online backup services by clicking those links. Updated March 27, 2019 with our review of Cobian Backup 11 (Gravity), an oldie but a goodie that works as well as, and in many cases better than, the shiny new toys. If you’re looking for something reliable and more configurable that Windows’ own File History, it’s definitely worth the download from Cobian’s website. Read our full review. iDrive has you covered six ways to Sunday when it comes to backup. Online, local, sync, snapshots, shipping hard drives to you for quicker recovery... You name, the company does it. Not the cheapest service, but easily the most comprehensive. There’s no more complete online backup storage service than iDrive. The free “basic” plan with 5GB of storage retains the features of the pay plans. Mozy is the only close competitor we’ve reviewed so far, and worth an honorable mention. The iDrive service comes with backup clients for nearly every PC and device, including Windows Phone—a rarity these days. The company provides additional storage for syncing all your devices and PCs, allows sharing of files with anyone, and has the ability to back up to a local drive. The company also has several affordable pay plans. For all the details, read our full review of iDrive. With faster backups and a glitch-free interface, this free imaging and backup program would've garnered another half-star. Still, with real-time syncing and all the features most users need, it came darn close. Among the free programs we tested, Aomei Backupper Standard wins primarily because it has the most features, including imaging, file backup, disk cloning, and plain file syncing, plus multiple scheduling options (see our full review). Sure, its bitmapped interface may be retro, but the layout and workflow are intuitive. And though it’s on the slower side for backing up sets of files, it’s the fastest software we’ve tested so far for backing up full disks and partitions. Its CPU usage during backup is also commendably light. There are plenty of honorable mentions, one of which may fit your needs or style better: Todo Backup Home, Macrium Reflect Free, MiniTool Shadowmaker, and Paragon Backup & Recovery Free. At the bottom of this article you’ll find links to our reviews of all the mentioned services and software. Backup software: We run each program through the various types of backups it’s capable of. This is largely to test reliability and hardware compatibility, but we time two: an approximately 115GB system image (two partitions), and a roughly 50GB image created from a set of smaller files and folders. We then mount the images and test their integrity via the program’s restore functions. We also test the USB boot drives created by the programs. Online services: As noted above, the performance of online backup services will vary according to their location and the network equipment between you and the data depository. We installed the software and backed up the same 2GB data set to check for any major issues or glitches in the client software. These are noted in the reviews. Capacity: Obviously, you’ll need as much storage as you have data, plus a little or possibly a lot more if you want to track changes and save previous versions of files. Some services keep multiple versions of files, some don’t. In many cases there’s a time limit. Cost: Nearly all online services charge for a maximum allowable amount of data, and generally uploads are free. Aside from the free tiers available from a service like Dropbox, pricing is fairly consistent across services, though you definitely get more capacity for your money from some vendors, notably Backblaze. However, there may be additional charges or limitations on downloads. For instance, Amazon’s Glacier is intended solely for backup and archiving. It’s very cheap per GB and uploads are free, but you’re charged for downloading—a service you hopefully will never need. Features: In addition to backup, you may want to share your files with others, work with them from mobile devices, or even edit them with office applications such as those available with Dropbox, Google, and OneDrive. If you do intend to work online, we recommend that you maintain a local copy as backup, and a hedge against Internet downtime. OS and device support: Most services provide client backup software for the major operating systems (Linux, OS X, and Windows) and both Android and iOS. Make sure the service you sign up for supports all of your platforms. Note: iDrive even supports Windows Phone. Privacy: If you’re concerned about the privacy of your data, make sure you use a service that allows the use of a personal encryption key that you define. Do NOT lose it, as it is absolutely required to restore your data. Sadly, using your own key often limits the types of services (e.g., no mobile backup) available. Reliability: Generally speaking, data centers are backed up to the hilt. Some of the larger ones even back up to different geographical locations. Availability (hopefully 24/7) can also be important. Check for news of outages and the vendor’s own service blogs. If there are too many outages in service, buy accordingly. In truth, all the services we’re aware of are near-100-percent reliable. Speed: Speed, in many cases, is far more dependent upon your broadband connection than that of the online service, though the geographical location of the storage and the equipment in between can make a significant difference. Check the location of the data servers if speed is important to you. Or, just give the trial a whirl and see if you can live with it. As with most things, don’t over-buy backup software. Features you don’t need add complexity and may slow down your system. Additionally, if you intend to back up to a newly purchased external hard drive, check out the software that ships with it. Seagate, WD, and others provide backup utilities that are adequate for the average user. And of course, while we describe the features to look for, you’re going to find fewer of them in free software. That’s life in the cheap lane. File backup: If you want to back up only your data (operating systems and programs can be reinstalled, though it’s mildly time- and effort-consuming), a program that backs up just the files you select is a major time-saver. Some programs automatically select the appropriate files if you use the Windows library folders (Documents, Photos, Videos, etc.). Image backup/Imaging: Images are byte-for-byte snapshots of your entire hard drive (normally without the empty sectors) or partition, and can be used to restore both the operating system and data. Imaging is the most convenient to restore in case of a system crash, and also ensures you don’t miss anything important. Boot media: Should your system crash completely, you need an alternate way to boot and run the recovery software. Any backup program should be able to create a bootable optical disc or USB thumb drive. Some will also create a restore partition on your hard drive, which can be used instead if the hard drive is still operational. Scheduling: If you’re going to back up effectively, you need to do it on a regular basis. Any backup program worth its salt allows you to schedule backups. Versioning: If you’re overwriting previous files, that’s not backup, it’s one-way syncing or mirroring. Any backup program you use should allow you to retain several previous backups, or with file backup, previous versions of the file. The better software will retain and cull older backups according to criteria you establish. Optical support: Every backup program supports hard drives, but as obsolescent as they may seem, DVDs and Blu-Ray discs are great archive media. If you’re worried about optical media’s reliability, M-Disc claims its discs are reliable for a thousand years, backed up by Department of Defense testing. Online support: An offsite copy of your data is a hedge against physical disasters such as flood, fire, and power surges. 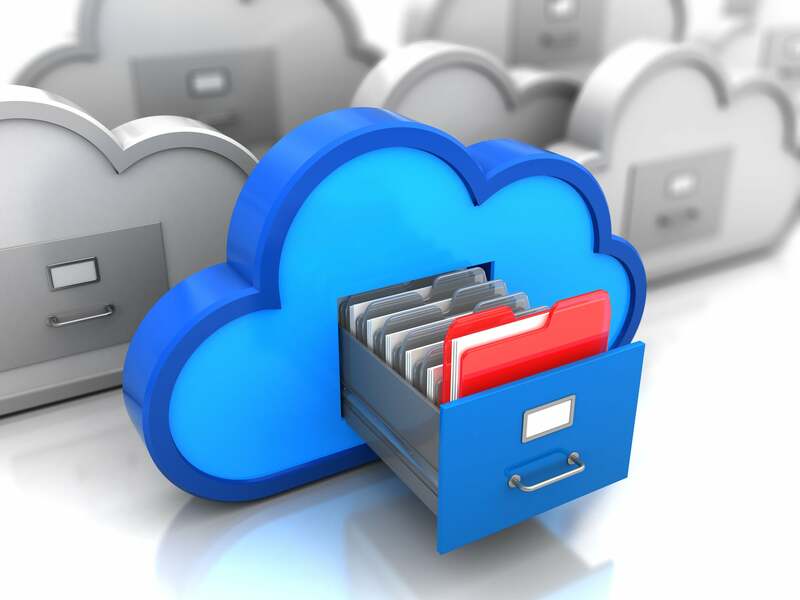 Online storage services are a great way to maintain an offsite copy of your data. Backup to Dropbox and the like is a nice feature to have. FTP and SMB/AFP: Backing up to other computers or NAS boxes on your network or in remote locations (say, your parent’s house) is another way of physically safeguarding your data with an offsite, or at least physically discrete copy. FTP can be used for offsite, while SMB (Windows and most OS’s) and AFP (Apple) are good for other PCs or NAS on your local network. Real time: Real-time backup means that files are backed up whenever they change, usually upon creation or save. It’s also called mirroring and is handy for keeping an immediately available copy of rapidly changing data sets. For less volatile data sets, the payoff doesn’t compensate for the drain on system resources. Instead, scheduling should be used. Continuous backup: In this case, ‘continuous’ simply means backing up on a tight schedule, generally every 5 to 15 minutes, instead of every day or weekly. Use continuous backup for rapidly changing data sets where transfer rates are too slow, or computing power is too precious for real-time backup. Performance: Most backups proceed in the background or during dead time, so performance isn’t a huge issue in the consumer space. However, if you’re backing up multiple machines or to multiple destinations, or dealing with very large data sets, speed is a consideration. Free or paid, we highly recommend that you back up at least your essential data against theft, malware or ransomware, and natural disasters, not to mention user error. Even if you work online, a local backup is a lot quicker to restore. And this goes beyond PCs: We get a lot of emails asking how to get data back from a stolen phone—the users generally don’t like the answer. EaseUS ToDo Backup has an improved interface and a long list of features. Despite the lack of plain file backup and sync functions, supporting Dropbox and other online locations is a plus. Extremely well tailored to the task of file backup, Cobian Backup provides just about every applicable option--including the ability to run remotely. It's not much to look at, but it's easy to use, and very nicely--one job can be used to back up to multiple locations. This program will handle all your basic disk and partition backup needs, and uses easy-to-handle and highly compatible virtual hard drives for its backup containers. But there's no FTP, file and folder, or online backup. This venerable freebie offers more than enough power for the average user. If all you want to do is create backup images of your system and disks, Macrium Reflect Free is a very reliable way to do it. Mozy is just as secure and effective as any online backup service out there, and it also offers sync for PCs and mobile devices. Our main gripe is that the sync and backup clients aren't integrated, an inconvenience that should be easy to fix. For its intended mission, MiniTool ShadowMaker covers all the bases and images very quickly. The interface is nicely done overall, and Shadowmaker is super-easy to use. With selective file backup and CDP, we'd add another half-star. It's worth a look.